Would Kerry support a military coup like that in Egypt in the US, against Obama, where millions of birthers, racists and Tea Party-ers would support it? 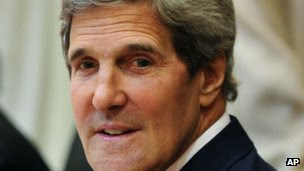 US Secretary of State John Kerry claims the military coup against elected President Mohammed Morsi was “restoring democracy” because it was supported by millions of people (‘Egypt's Muslim Brotherhood 'disappointed' by John Kerry's remarks’ Guardian 1st August) (1). While there were many naïve liberals and socialists who backed the coup, there were also large numbers of former members and even MPs from Mubarak’s NDP party (2) – (4). The Tamarod movement which ran the petition against Morsi didn’t even realise it’s main funders were businessmen who supported Mubarak’s regime (5). Some of Tamarod’s members left the movement shortly before Morsi’s overthrow, saying it had been infiltrated by Mubarak supporters and secret police (6). Morsi was accused of “mismanaging the economy” resulting in petrol shortages and electricity black outs. Yet these crises miraculously disappeared as soon as Morsi was overthrown – because they too were organised by pro-Mubarak businessmen and probably the military, which owns much of the Egyptian economy, including many petrol stations (7) – (8). There are millions of birthers, tea-party-ers and racists in the US who would support a military coup against President Obama, who they also continually claim is acting unconstitutionally and undemocratically. Would that make it legitimate? Kerry also claims “the military did not take over”. General Sissi has made himself Commander in Chief of the military, Defence Minister and Deputy Prime Minister (9). Sissi appointed the interim President, Adly Mansour, originally made a judge by Mubarak, who lifted the ban on members of Mubarak’s dictatorship standing in elections (10). The Chief Prosecutor sacked by Morsi for acquitting Mubarak’s security officials of ordering protesters killed is back (11) – (13). Secret police units disbanded after Mubarak was overthrown are back too (14). So the military and officials from the old dictatorship are back in power. Some of the supposedly liberal and democratic opposition also seem more personally ambitious than concerned with democracy. For instance the head of the Tamarod movement told General Sisi that holding a referendum on whether Morsi could stay on as elected President was unacceptable – he had to be “recalled” or overthrown. This leader has also said he has an ambition to be President of Egypt himself (15). Having some civilians, some of them dupes from among the secular protesters, who naively believe they are in charge, the rest former dictatorship members, as a fig leaf for military rule is something any impartial observer should be able to see through. The coup government has killed more protesters in a month than died in a year under Morsi – and unlike under Morsi, when each side’s protesters were killing the other, with as many pro as anti Morsi protesters killed, this time almost all the dead are anti-coup protesters and Morsi supporters. As long as the Obama administration continue supporting the military coup and bloody counter-revolution by the military and old regime any claims Obama makes of supporting democracy or human rights are empty.